Stainless Steel Tee union:1/2 Thread male x 1/2 thread female x 1/4" thread female for 1/4 inch pipe. 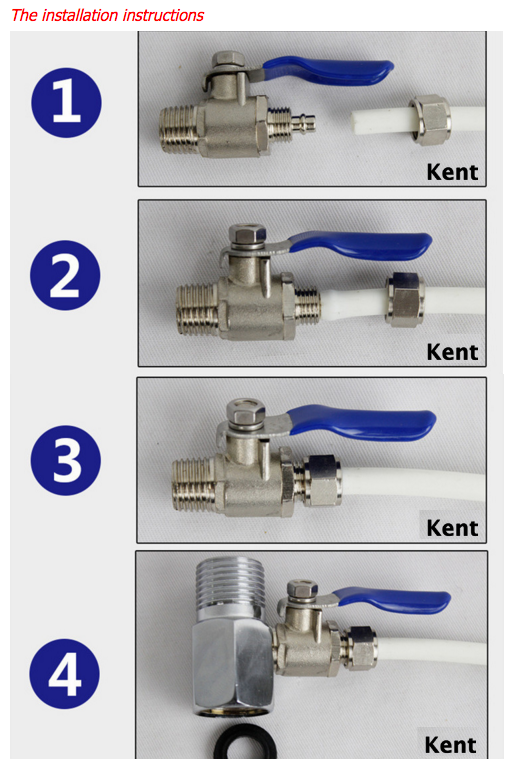 Ball valve:1/4" Thread male x 1/4 tube / pipe quick connect. 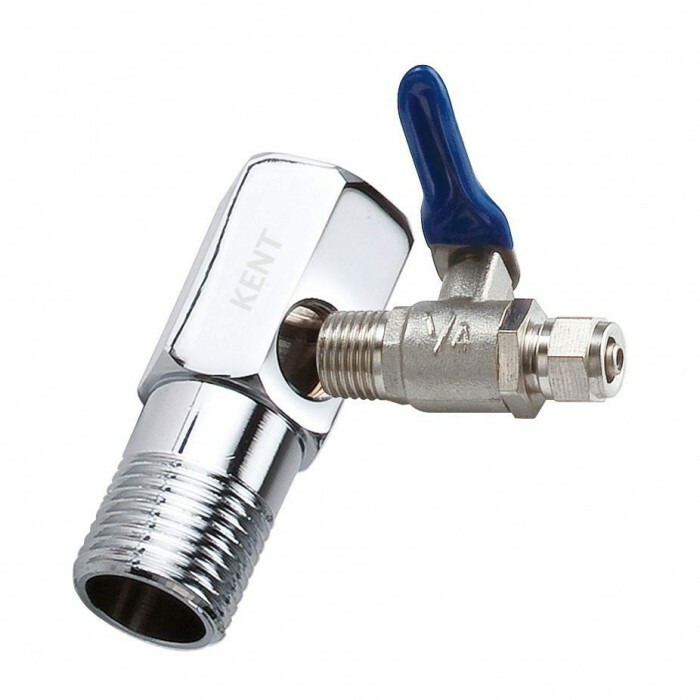 Can control the water pressure with blue handle.